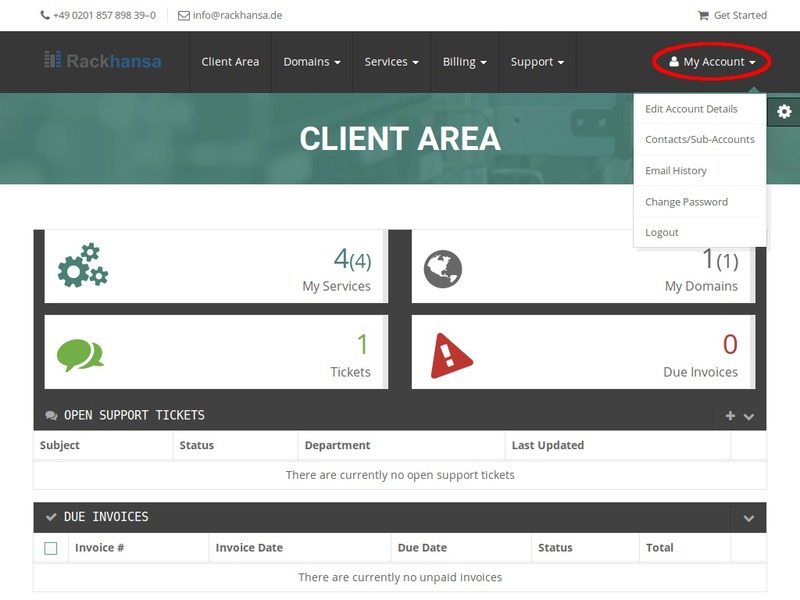 On the right side You can see the menu for your personal details. To open out the menu, click on the right side. You can now manage appropriate areas like in this case “Change Password”, “Security Settings”. 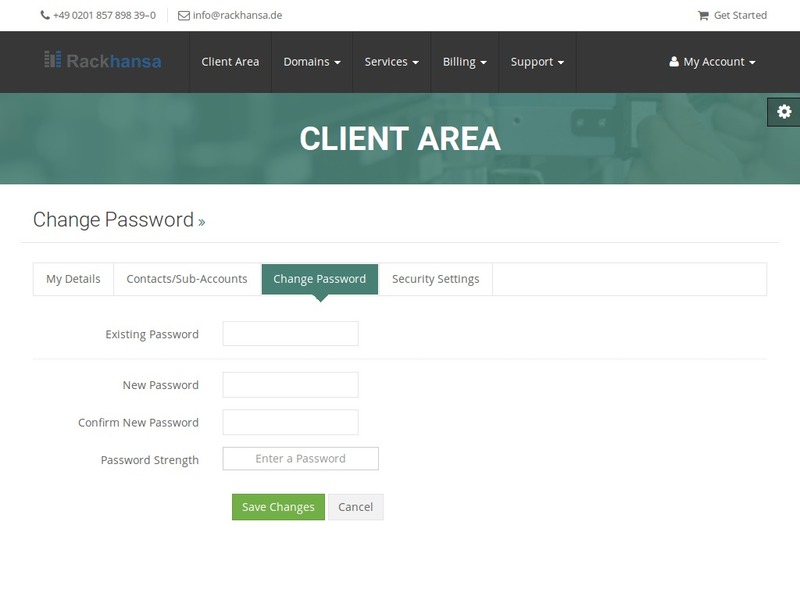 Change Password:You can change your Client-Login-Password here. First enter your recent password and continue with the new password. We recommend to renew your password in regular time intervals. For a strong password (strong pass-phrase) we recommend to use at least 10 characters including the use of special characters, numbers, capital letters and minuscules. Security Settings:Here You can change the security question. 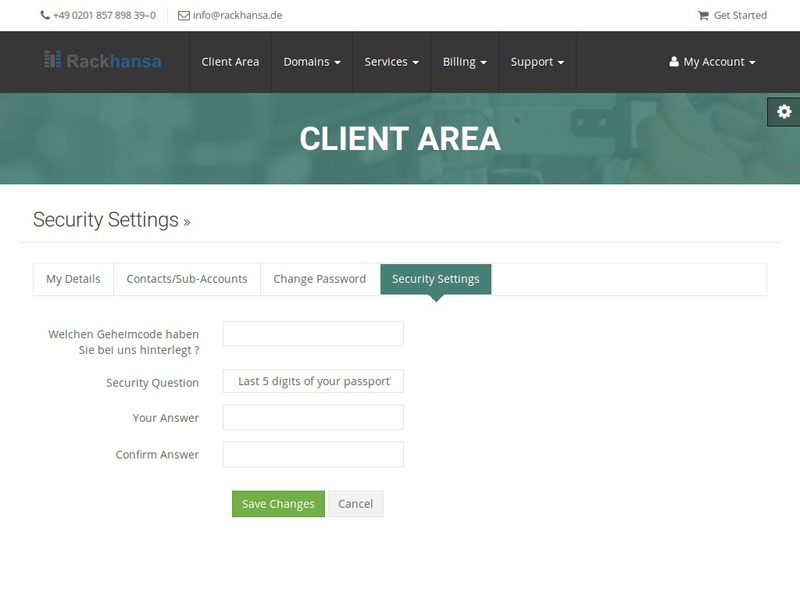 If You forgot your Client-Login-Password, this question is necessary to identify You and to reset your Login-Password. Without this detail, You need to provide written evidence to identify You and reset your Login-Password.